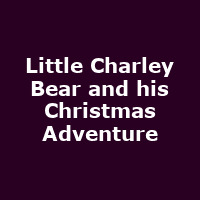 Family tickets to see Little Charley Bear and his Christmas Adventure now just £30! The CBeebies channel's reputation for fantastic pre-school learning programmes has been continuing with the story of a little bear who loves to use his imagination, just like your children love to do. Every time Little Charley Bear opens his toy-box, magic happens and adventures begin with all his friends joining in for songs, games and humour. But, being Christmas time, Charley's fun will double in size because Santa may come and visit him and his pals. But exactly what adventures lie in store for Charley? You'll just have to take your kids along to the New Ambassadors Theatre in London to find out. Don't forget to ask the question, "Are you there, Charley Bear?". The answer is, of course, yes - and he's on stage for the very first time for a few weeks in December. His run as a stage star starts on 5th December and runs until Christmas Eve - and we have a super Family discount to tell you about! The Special Offer is: Purchase a Family group of 4 tickets to see Little Charley Bear and his Christmas Adventure for a total of just £30, instead of paying £15 for each one (total £60) - that's a saving of 50% when bought in multiples of 4. What a great Christmas treat this will make for your younger ones. To take advantage of this special offer, just click on the button and select your performance from the list. If prompted, you will need to key in the code TMDEAL to unlock your discount! The offer must end on 24th December 2012 - enjoy.